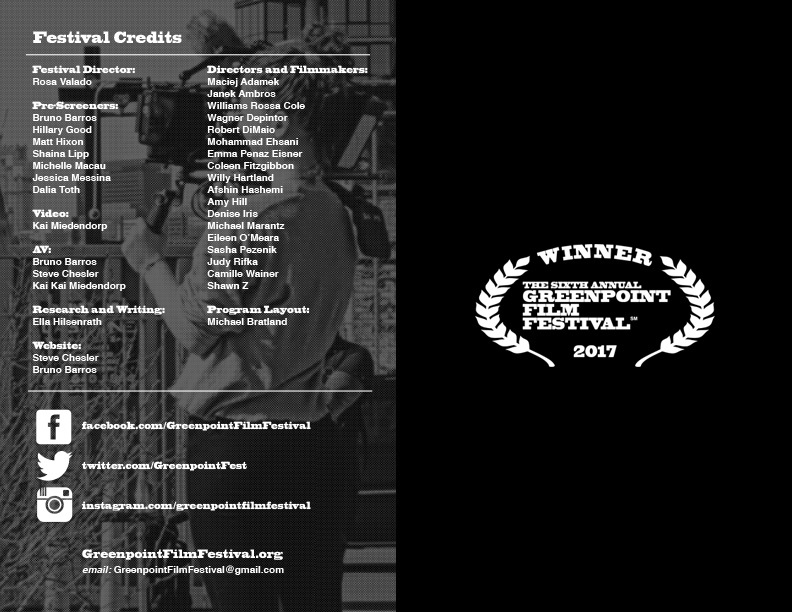 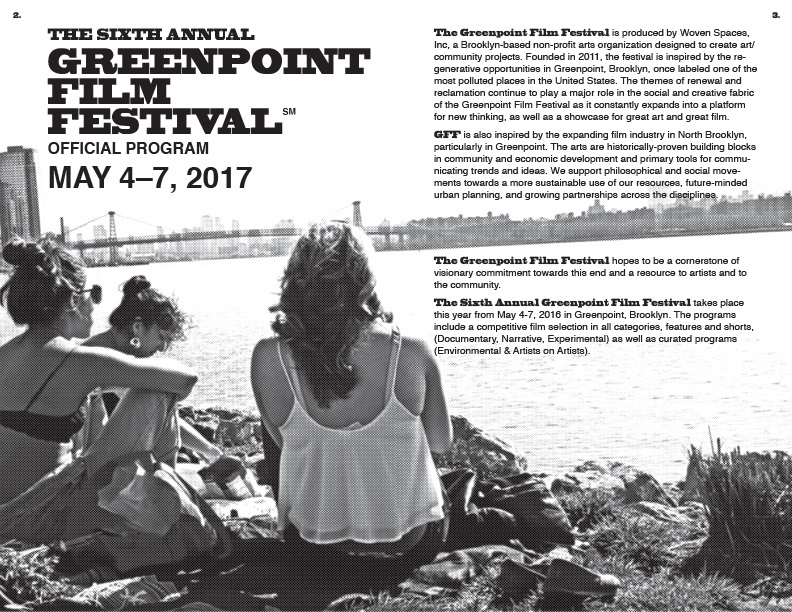 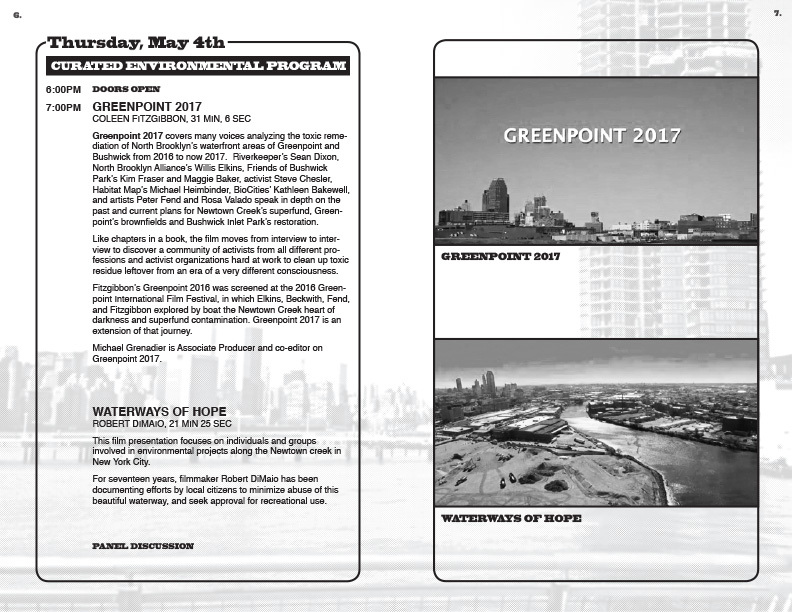 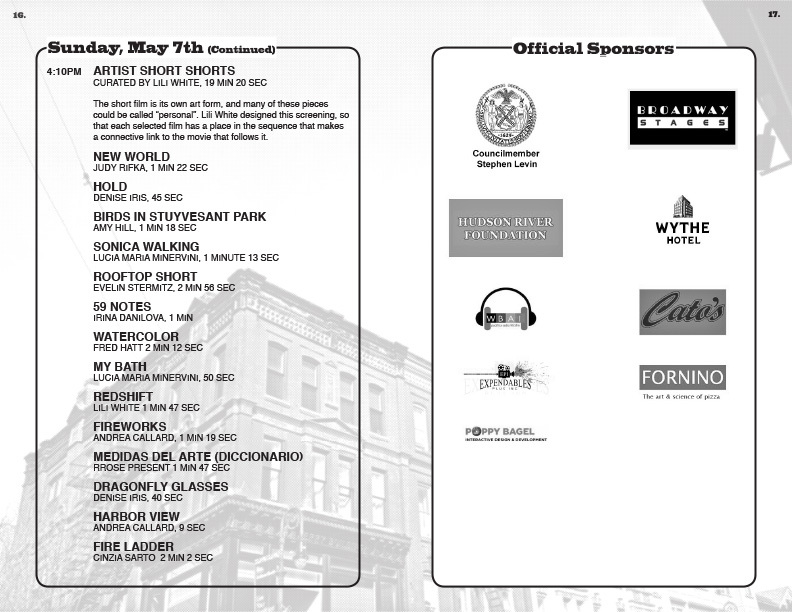 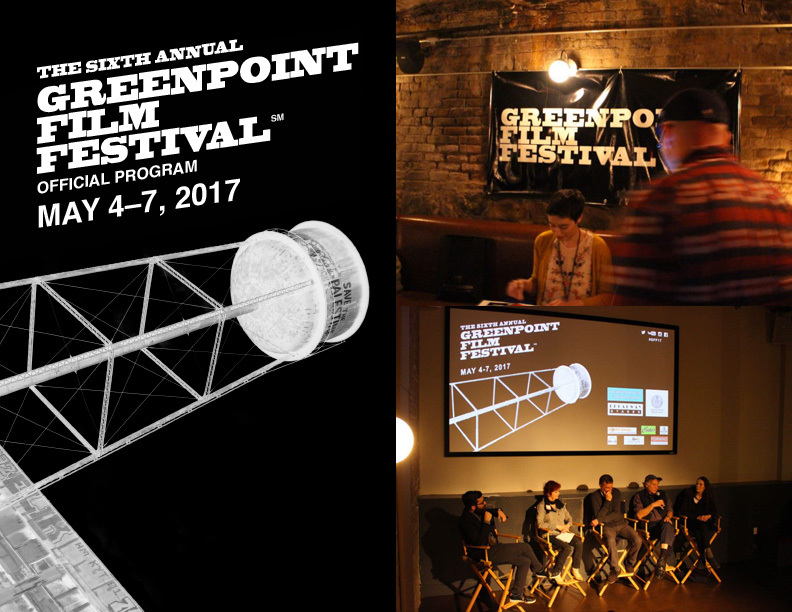 Founded in 2011, The Greenpoint Film Festival is inspired by the regenerative opportunities in Greenpoint, Brooklyn. 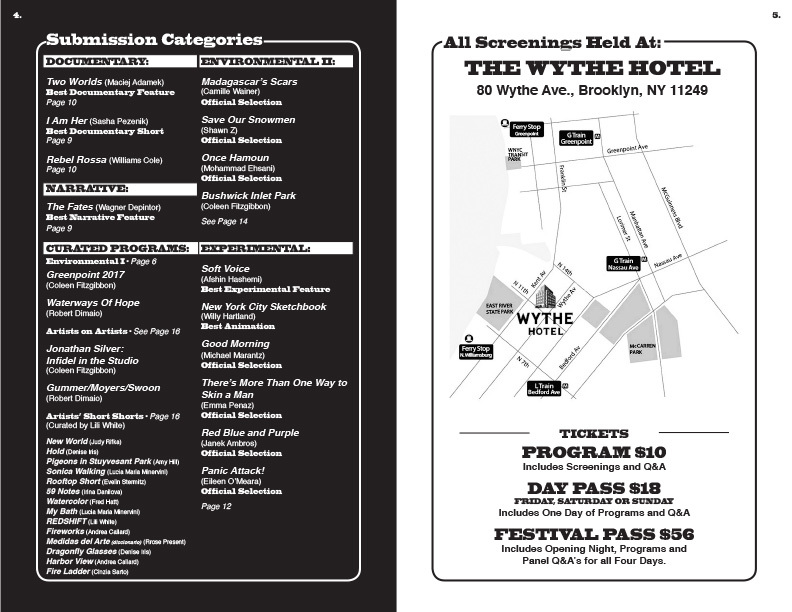 Themes of renewal and reclamation play a major role in the social and creative fabric of the festival as it expands into a platform for new thinking an a showcase for great art and great film. 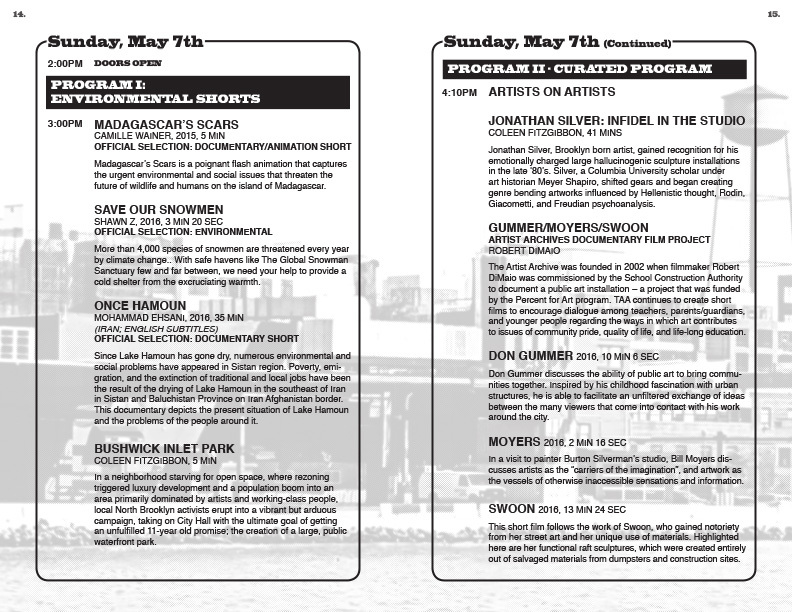 As the festival’s Graphic Artist for 5 seasons now, my duties are focused on the festivals multi-page program. 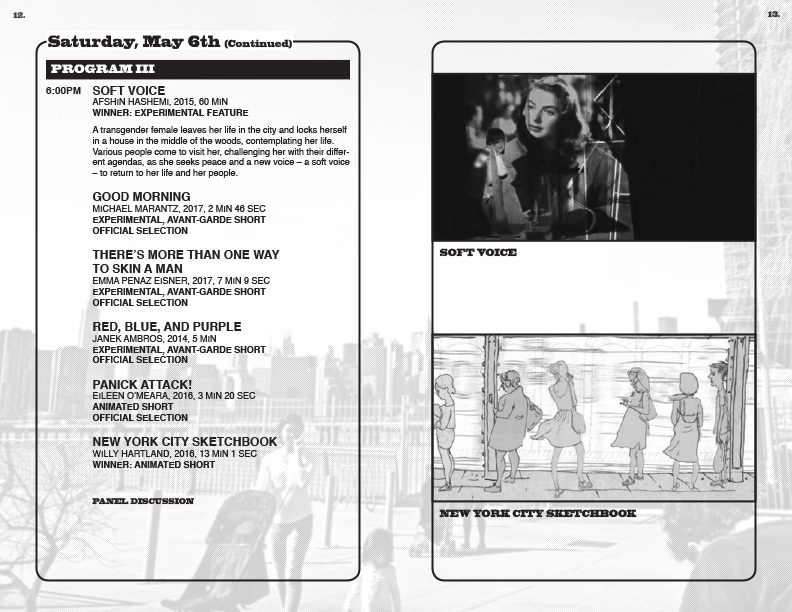 Images and text are submitted by filmmakers and I weave together the printed booklet using Adobe InDesign. 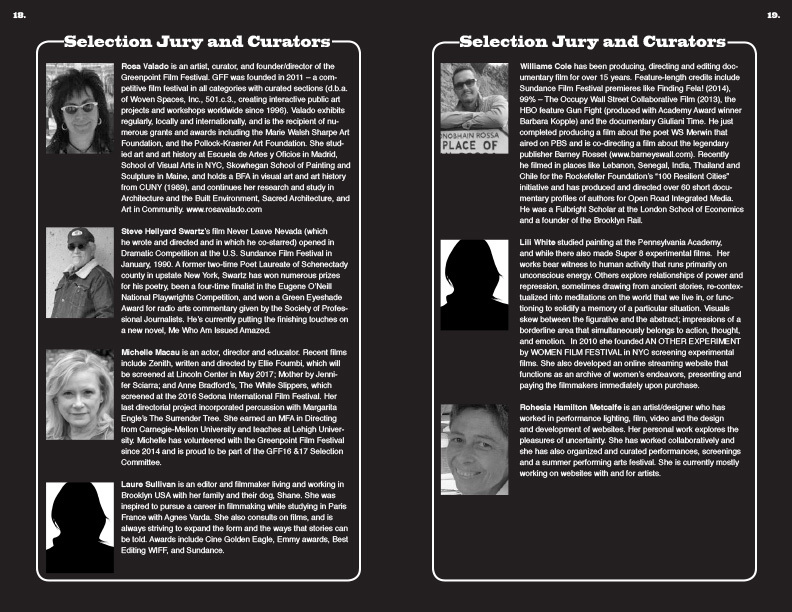 I work very closely with the festivals’ curator and printer to ensure deadlines are met.